The team from Home Instead Senior Care in Leek & Moorlands recently held a tombola stall to raise funds for local charity Rethink based at Pennybank House in Leek. Home Instead has recently started supporting a client who was referred from Rethink who wanted to spend some time with her Home Instead caregiver Chris doing some baking, but they didn’t have any equipment to bake with. 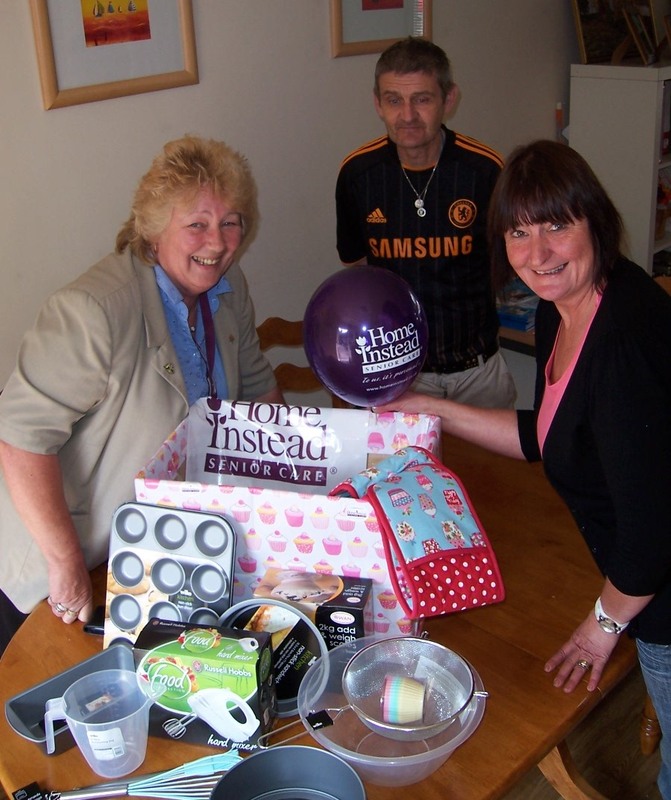 Carol and Irene from Home Instead decided to set to and raise some funds to help purchase the baking equipment needed to help their client to achieve her wishes. Carol and Irene manned the stand and to their surprise one of their clients Kath was visiting the show and decided to have a go at the Tombola. Her support paid off, not only for the Rethink charity but she also she won not one but two prizes! 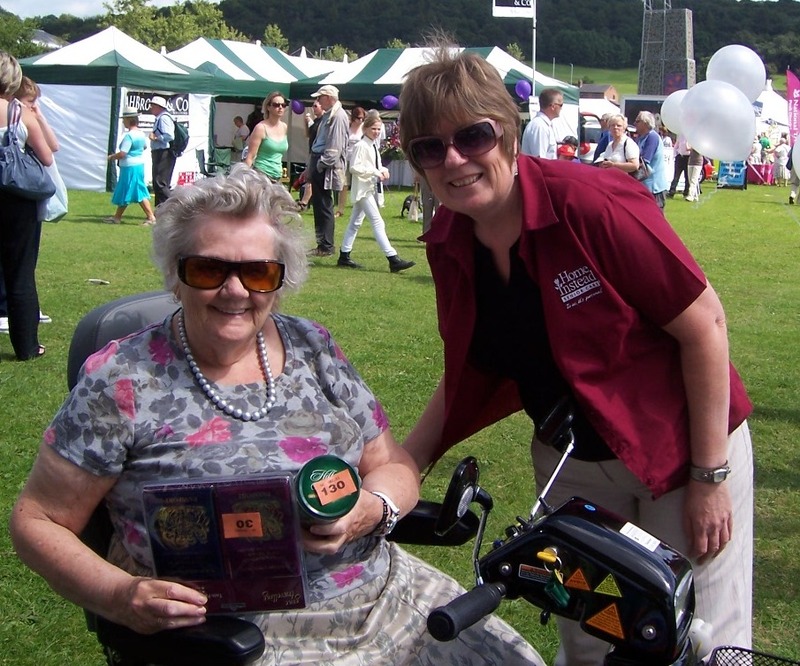 Kath’s caregiver escorts Kath out twice a week to her favourite local countryside venues. This enables Kath to keep up her love of trips out in the countryside and to feel less isolated. Rethink are a charitable organisation who support people with mental health. It offers advice, support, training, recreation, and access to other agencies as well as practical support.